Enjoy the top 2 famous quotes, sayings and quotations by Thubten Chodron. 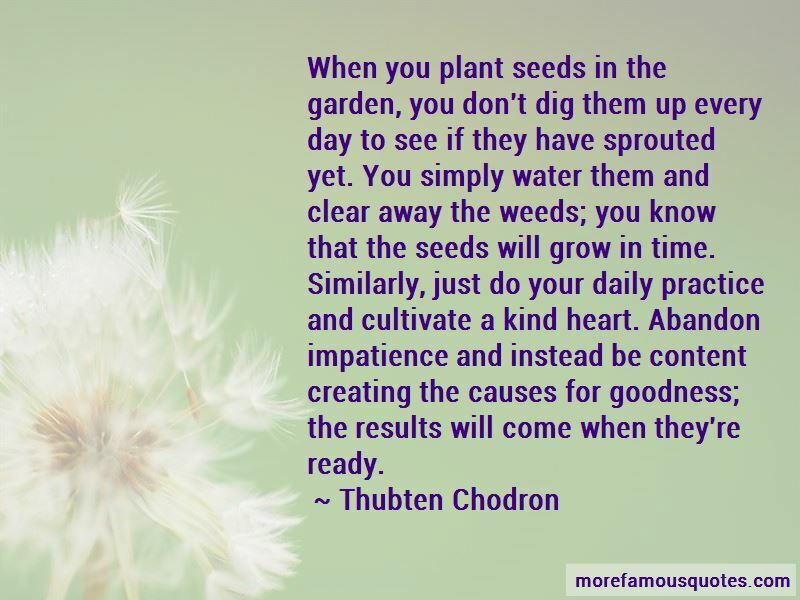 When you plant seeds in the garden, you don't dig them up every day to see if they have sprouted yet. You simply water them and clear away the weeds; you know that the seeds will grow in time. Similarly, just do your daily practice and cultivate a kind heart. Abandon impatience and instead be content creating the causes for goodness; the results will come when they're ready. Want to see more pictures of Thubten Chodron quotes? 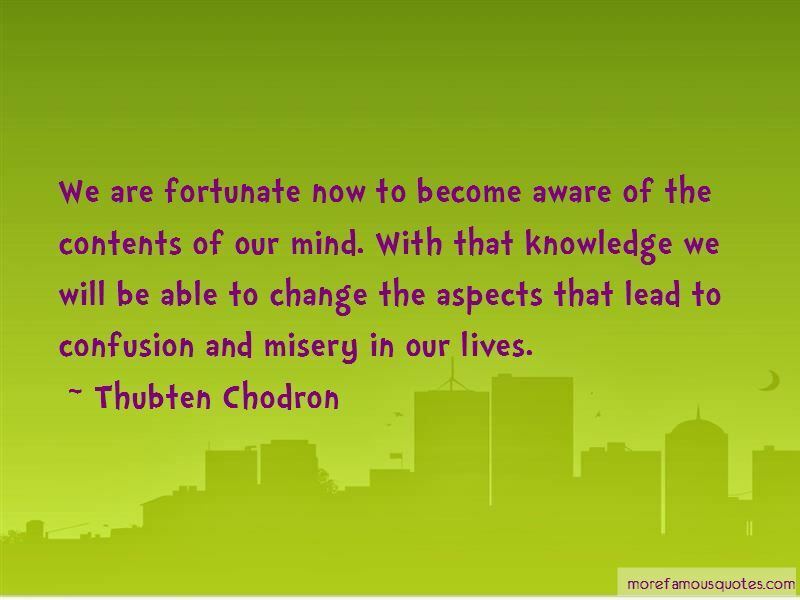 Click on image of Thubten Chodron quotes to view full size.